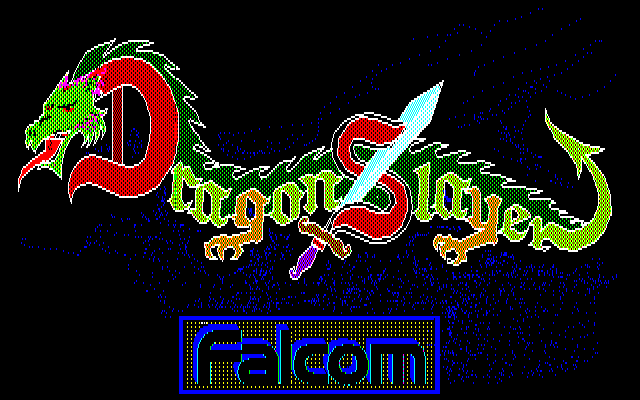 Dragon Slayer, released in late 1984, is a PC-8801 title developed by Falcom and a pioneer of the action RPG genre. Marketed as an addictive “new type real time role-playing game”, it, along with Hydlide, inspired the design of several future computer and console titles, including The Legend of Zelda, and spawned a long-running series of loosely-connected titles including Xanadu, Romancia, Sorcerian, and Legend of Heroes. Multiple revisions of the title exist: Level 1.0 refers to the original tape version. It includes a single level, increasing in difficulty as it is cleared, and lacks a save function. Level 1.1 was released in disk format, includes 10 levels and includes the ability to save and restore. Level 2.0 is a substantially rebalanced and aesthetically revised disk version that includes 10 additional levels for a total of 20, changes the music and sound effects, and modifies game systems for a generally easier experience, at the cost of halving the experience provided by killing monsters.